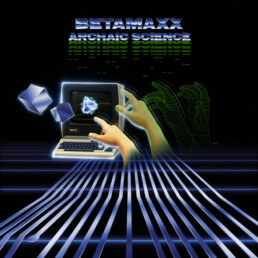 Betamaxx is an 80’s synth revival project by Nick Morey, hailing from Pittsburgh, Pennsylvania U.S.A. The project was formed in mid 2012 with the release of “Lost Formats” LP in late September of that year. The name “Betamaxx” was contrived from Sony’s “Betamax” movie player which rivaled VHS in the early-mid 80’s, ultimately losing the format war. Betamaxx’s sound is inspired and created with a use of analog and digital hardware synths from the 80’s and today including the Roland Juno-60, Sequential Circuits Prophet-6 and, Korg’s M1 workstation. Combining these sounds with a soundtrack inspiration in mind, Betamaxx has created a neo retro-future sound similar to the likes of John Hughes, and John Carpenter. He has been featured on such works at the “Kung Fury” official soundtrack, and the Amazon prime series “Red Oaks”. His most notable remix was Tangerine Dream’s “Love on a Real Train” from the “Risky Business” soundtrack.